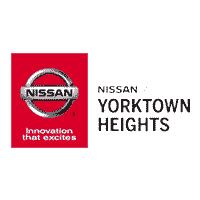 If you’re looking to take on the streets of Yorktown Heights in a new Nissan, be sure to rely on the current Nissan specials available at Nissan of Yorktown Heights. When you work with our friendly sales staff and knowledgeable finance department, you can count on us to find the right model for you at a price that won’t break your budget. Ready to simplify the car-buying process? Then it’s time to head to Nissan of Yorktown Heights to take advantage of our various Nissan deals. Once you take a look at our available discounted Nissan models in Yorktown Heights, be sure to pay us a visit whenever you’re ready to take your favorite model for a spin. If you have any questions along the way, feel free to contact us to learn more about our current specials or new vehicle inventory! In the meantime, keep an eye out for the offers on the Nissan Rogue or Sentra. Brilliant Silver Metallic 2019 Nissan Kicks SV FWD CVT with Xtronic 1.6L 4-Cylinder Nissan of Yorktown Heights serving Westchester, Mount Kisco, White Plains, Putnam Rockland and Dutchess Counties is number one Nissan Dealer in the area for customer satisfaction, call or click today to schedule a test drive or reserve a vehicle. 31/36 City/Highway MPG We have access to hundreds more used cars, so if you're not sure this is what you're looking for, give us a call today (914-737-3500) and we will work to make your vehicle research process as easy as possible. Magnetic Black Pearl 2019 Nissan Rogue Sport SL AWD CVT with Xtronic 2.0L 4-Cylinder Nissan of Yorktown Heights serving Westchester, Mount Kisco, White Plains, Putnam Rockland and Dutchess Counties is number one Nissan Dealer in the area for customer satisfaction, call or click today to schedule a test drive or reserve a vehicle. 24/30 City/Highway MPG We have access to hundreds more used cars, so if you're not sure this is what you're looking for, give us a call today (914-737-3500) and we will work to make your vehicle research process as easy as possible. Gun Metallic 2019 Nissan Rogue Sport SL AWD CVT with Xtronic 2.0L 4-Cylinder Nissan of Yorktown Heights serving Westchester, Mount Kisco, White Plains, Putnam Rockland and Dutchess Counties is number one Nissan Dealer in the area for customer satisfaction, call or click today to schedule a test drive or reserve a vehicle. 24/30 City/Highway MPG We have access to hundreds more used cars, so if you're not sure this is what you're looking for, give us a call today (914-737-3500) and we will work to make your vehicle research process as easy as possible. Caspian Blue Metallic 2019 Nissan Rogue SL AWD CVT with Xtronic 2.5L 4-Cylinder AWD. Nissan of Yorktown Heights serving Westchester, Mount Kisco, White Plains, Putnam Rockland and Dutchess Counties is number one Nissan Dealer in the area for customer satisfaction, call or click today to schedule a test drive or reserve a vehicle. 25/32 City/Highway MPG We have access to hundreds more used cars, so if you're not sure this is what you're looking for, give us a call today (914-737-3500) and we will work to make your vehicle research process as easy as possible. Gun Metallic 2019 Nissan Altima 2.5 Platinum AWD CVT with Xtronic 2.5L 4-Cylinder CVT with Xtronic. Nissan of Yorktown Heights serving Westchester, Mount Kisco, White Plains, Putnam Rockland and Dutchess Counties is number one Nissan Dealer in the area for customer satisfaction, call or click today to schedule a test drive or reserve a vehicle. 25/35 City/Highway MPG We have access to hundreds more used cars, so if you're not sure this is what you're looking for, give us a call today (914-737-3500) and we will work to make your vehicle research process as easy as possible. Brilliant Silver Metallic 2019 Nissan Leaf SL FWD Single Speed Reducer Electric Nissan of Yorktown Heights serving Westchester, Mount Kisco, White Plains, Putnam Rockland and Dutchess Counties is number one Nissan Dealer in the area for customer satisfaction, call or click today to schedule a test drive or reserve a vehicle. 124/99 City/Highway MPG We have access to hundreds more used cars, so if you're not sure this is what you're looking for, give us a call today (914-737-3500) and we will work to make your vehicle research process as easy as possible. Glacier White 2018 Nissan Titan SV 4WD 7-Speed Automatic 5.6L 8-Cylinder 4WD. Nissan of Yorktown Heights serving Westchester, Mount Kisco, White Plains, Putnam Rockland and Dutchess Counties is number one Nissan Dealer in the area for customer satisfaction, call or click today to schedule a test drive or reserve a vehicle. We have access to hundreds more used cars, so if you're not sure this is what you're looking for, give us a call today (914-737-3500) and we will work to make your vehicle research process as easy as possible. Super Black 2019 Nissan Armada Platinum 4WD 7-Speed Automatic 5.6L 8-Cylinder 4WD. Nissan of Yorktown Heights serving Westchester, Mount Kisco, White Plains, Putnam Rockland and Dutchess Counties is number one Nissan Dealer in the area for customer satisfaction, call or click today to schedule a test drive or reserve a vehicle. We have access to hundreds more used cars, so if you're not sure this is what you're looking for, give us a call today (914-737-3500) and we will work to make your vehicle research process as easy as possible. Caspian Blue Metallic 2019 Nissan Rogue Sport S AWD CVT with Xtronic 2.0L 4-Cylinder Nissan of Yorktown Heights serving Westchester, Mount Kisco, White Plains, Putnam Rockland and Dutchess Counties is number one Nissan Dealer in the area for customer satisfaction, call or click today to schedule a test drive or reserve a vehicle. 24/30 City/Highway MPG We have access to hundreds more used cars, so if you're not sure this is what you're looking for, give us a call today (914-737-3500) and we will work to make your vehicle research process as easy as possible. New vehicle pricing includes all offers and incentives. Tax, Title and Tags not included in vehicle prices shown and must be paid by the purchaser. While great effort is made to ensure the accuracy of the information on this site, errors do occur so please verify information with a customer service rep. This is easily done by calling us at (914) 737-3500 or by visiting us at the dealership. We Are Ready to Take Your Call! Nissan of Yorktown Heights	41.2898397, -73.8364552.